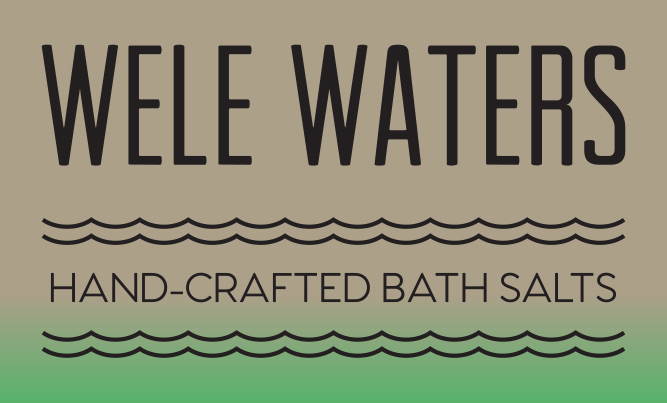 Wele Waters – your private spa, right at your fingertips! Well being is a practice. Wele Waters is your essential companion. Optimal well being is essential to becoming the best versions of ourselves – the best partners, the best parents, the best team members, the best entrepreneurs, the best leaders. In order to give our most to the world and to each other, we must become expert at taking great care of ourselves. Wele Waters takes its name from the Middle English word, wele, which means “well-being.” It is the word from which our modern word “wealth” is derived. Thus, Wele Waters is about reclaiming what we mean by wealth – the understanding that true wealth is the deep experience of health, joy, relaxation and abundance. When we’re holding a jar of Wele Waters Healing Bath Salts, we’re holding a jar of true wealth in our hands. Who is Wele Waters, and what is its purpose? With decades of experience as a humble practitioner of herbal medicine and aromatherapy, Aaron Perry has complemented his career as an entrepreneur and writer by frequently harvesting, preparing and enjoying herbal medicine preparations and bath salt soaking blends. Only after sharing his unique bath salts with dozens of friends, family and strangers – to be overwhelmed by the resounding themes of “wow, I slept so well last night,” or “my back ache went away – for the first time in months,” to “this really helps my arthritis,” Aaron realized that he could bring relief and healing to many people through Wele Waters. And, that Wele Waters could be established to support the most cutting edge organizations working to cultivate health, well being, regeneration and stewardship in our world. Thus, Wele Waters is established to support the Y on Earth Community – an innovative network of community leaders, educators, parents and ambassadors who are doing the humble and joyous work of cultivating a culture of sacred sustainability by empowering individuals, families and communities to thrive. Lean more about the Y on Earth Community, and join in creating a culture of sacred sustainability! Learn more about the Y on Earth Community, and join in creating a culture of sacred stewardship! Discover Wele Waters for Yourself Today!
" I used Wele Waters last night and slept better than I have in weeks! "